Vighar is a hostile elderly vampire who inhabits Bloodlet Throne. You are sent to kill him by his descendant, Dengeir of Stuhn, and he will only spawn while on that quest. 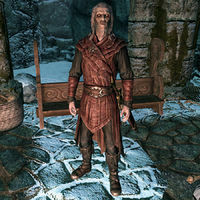 Like all other vampires, Dawnguard changes his appearance, giving him glowing yellow eyes and vampire armor. 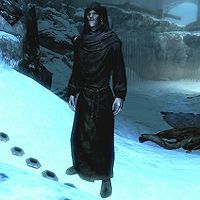 Vighar is the only elder who is also a vampire. This page was last modified on 26 December 2017, at 00:17.